As a rare disease Sanfilippo receives limited attention and funding for research. Therefore, there is a need for additional awareness and funding in order to find and deliver cure in the near future. This applies both for innovative approaches funded by incubator grants and research related directly to translation into clinical trails funded with translational grants. 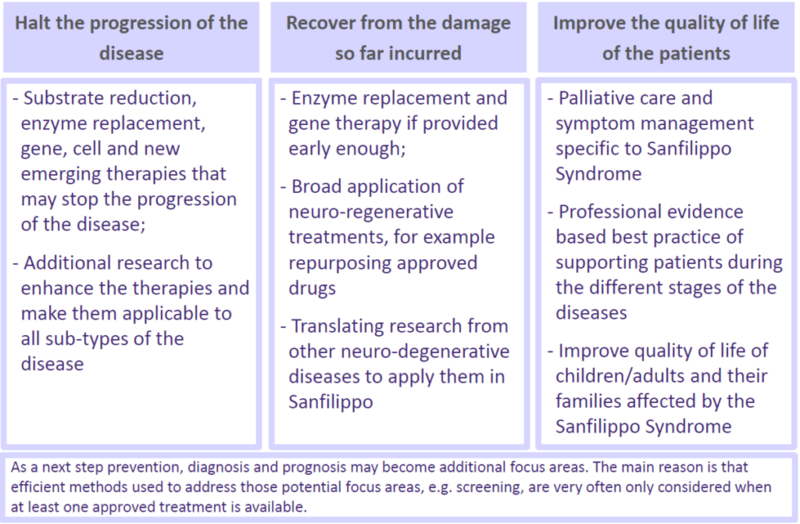 In order to apply the best practices we closely follow approach developed by Sanfilippo Children’s Foundation (SCF). 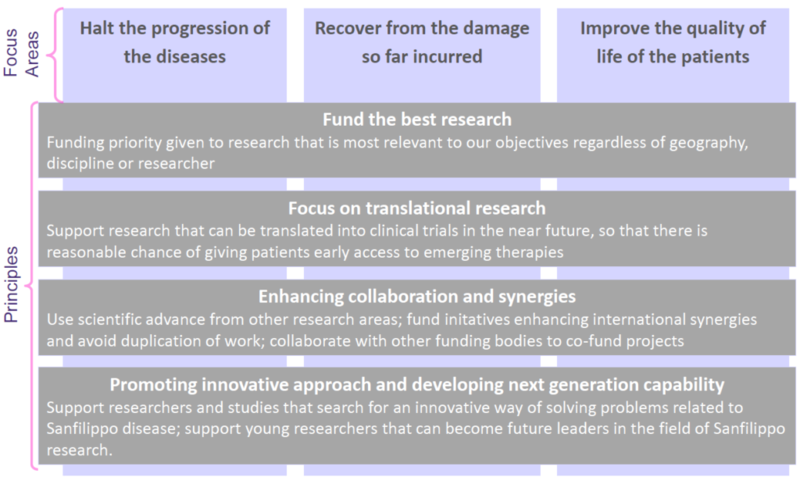 You can learn more about the SCF and their Research Funding Program on their website: http://www.sanfilippo.org.au/. Our Research Funding Programme is the same with small adjustment regarding the amounts and the focus. The process is the same as by SCF, with the notable difference that we evaluate applications on continuous basis. The forms are also the same given that they fully satisfy our needs and in order to allow researcher to use the same familiar documents when applying for funding. Providing funds for research areas that ensure the greatest scientific progress and can be translated into an effective cure.